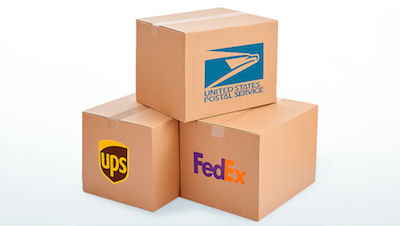 Labelcity utilizes todays' leading Freight companies for shipping of orders - UPS, FEDEX and US Post. When placing your order our freight caclulator will determine which of these freight methods are available to you as well as advising costs. NOTE : transit times are specified by UPS, FedEx and US Post and are NOT INCLUSIVE OF THE DAY THAT THE ORDER IS SHIPPED. For example, UPS/FedEx 2-day will be delivered on the 2nd Business Day after the order leaves our warehouse. So if we ship on a Wednesday via 2nd-day shipping, you can expect your order to be delivered on/before Friday. SPECIAL DELIVERY REQUIREMENTS : please call our Customer Service team on tollfree 1-888-999-6333 if you have special delivery requirements such as "Saturday Delivery" or pick-up from our warehouse.